At Sebring 2013, we found something that we haven't seen before. Oh, we know about gyros and have reported earlier on the AutoGryo company. 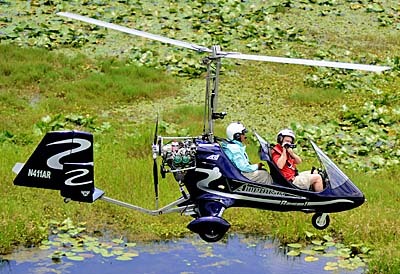 Here we feature an amphibious float-equipped gyroplane or gyrocopter. Represented in the USA by Soaring Concepts, let's have a look at what UltralightNews has tagged the "gyrophibian." Lot's to learn here; join us. At Sebring 2013, we found something that we haven’t seen before. Oh, we know about gyros and have reported earlier on the AutoGryo company. 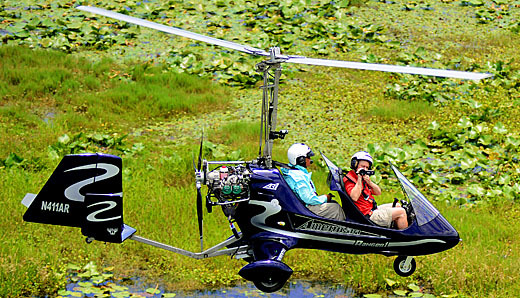 Here we feature an amphibious float-equipped gyroplane or gyrocopter. Represented in the USA by Soaring Concepts, let’s have a look at what UltralightNews has tagged the “gyrophibian.” Lot’s to learn here; join us. "Wind is your friend" in a gyro. That means take off is faster when the wind blows down the runway. 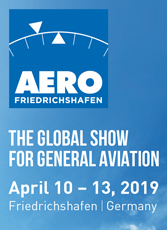 But neither is wind, like crosswind, a problem; commonly we see gyros operate in wind conditions that keep light fixed wings airplanes on the ground. Flying a gyro is more like flying a fixed wing than flying a helicpoter. In this video we get lots of info about gyroplane flying. Let's go! “Wind is your friend” in a gyro. That means take off is faster when the wind blows down the runway. But neither is wind, like crosswind, a problem; commonly we see gyros operate in wind conditions that keep light fixed wings airplanes on the ground. Flying a gyro is more like flying a fixed wing than flying a helicpoter. 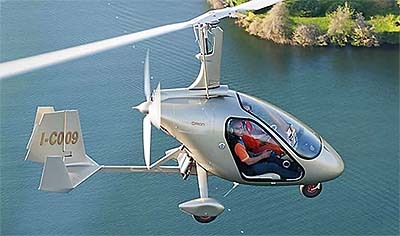 In this video we get lots of info about gyroplane flying. Let’s go! Launching an AutoGyro Calidus; video flight report to follow. 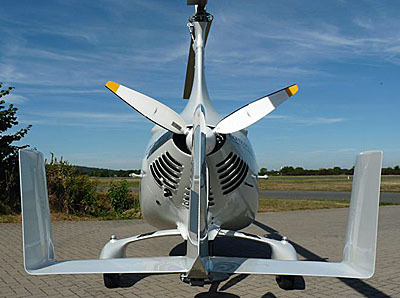 German producer AutoGyro GmbH is said to be the world's largest buyer of Rotax 912 engines. The deluxe side-by-side seating Cavalon from AutoGyro is their top-of-the-line model. 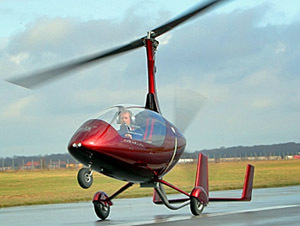 A Bulgarian gyro in development, called Niki 2009. 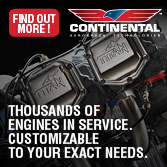 Wings that go around in circles enjoy their own special niche in American Light-Sport aviation. 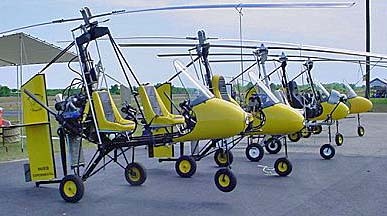 Yankees can buy ultralight helicopters — including the Mosquito that can fit into Part 103, which is amazing in itself — and Americans can buy kit-built gyrocopters or gyroplanes (the terms are used interchangeably). 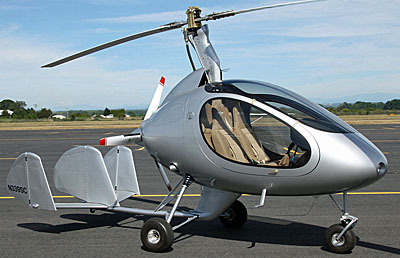 The good news is Americans do indeed buy and build; AutoGyro USA sold some 30 examples in the last couple years. 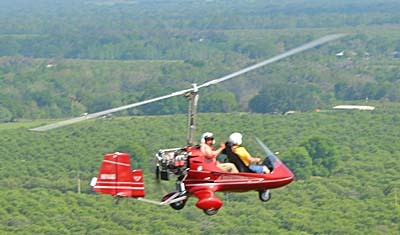 However, due to an apparent (and somewhat mysterious) intraagency dispute, fully built Special LSA gyroplanes were never allowed by FAA. 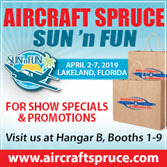 Some say it was a turf war between the Small Aircraft Directorate and the Rotorcraft Directorate; though others disagree this was the problem. 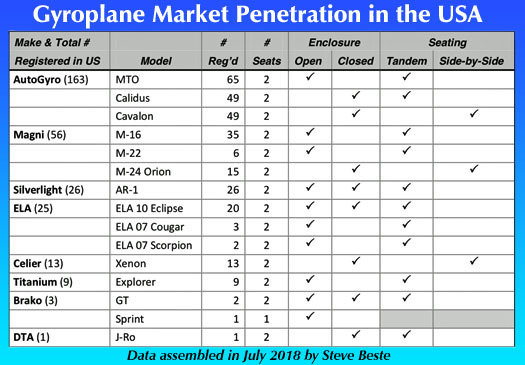 Whatever the explanation, no ready-to-fly LSA gyros are available in the USA despite years of effort by ASTM committee members, which has a standard ready. 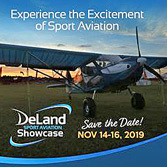 This is a shame as I rediscovered for myself on a flight at Sebring. On a pretty day at the Sebring U.S. 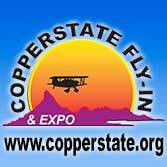 Sport Aviation Expo 2014, I finally went aloft with Robert Snyder of AutoGyroUSA. 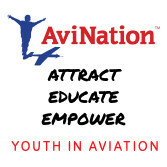 We talked about flying together at AirVenture and my chance finally came. 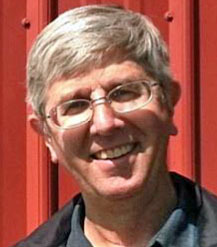 I have one other such experience with ASTM gyro chairman, Greg Gremminger in the Magni Gyro. That Italian design is an open cockpit tandem seating experience that opened my eyes to the fact that a fixed wing pilot can make a reasonably fast transition to rotorcraft ... so long as we're talking gyroplane. To make another of our video pilot reports, Bob and flew around for nearly an hour. I was reintroduced to the ease of flying gyros and introduced to the AutoGyro family. 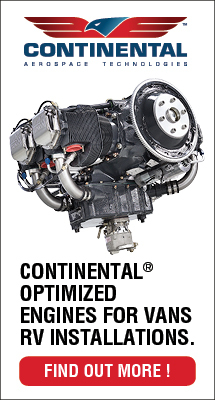 The German company is reportedly the largest buyer of Rotax 912 engines of any airplane producer on the planet and they are having a great run overseas. Their models include the open cockpit tandem MTO Sport, fully enclosed tandem seating Calidus, and deluxe side-by-side seating Cavalon (interior photo). One thing is sure: these are not your Benson gyros of years past. The Europeans have shepherded these flying machines into the new millennium and they are some impressive works of construction. 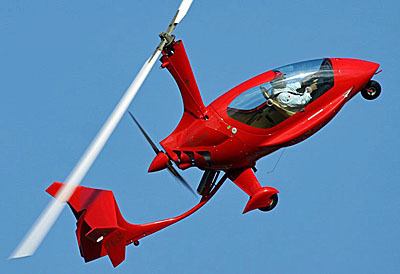 Building an AutoGyro kit will consume about 40 hours, said Robert. They offer a guided program at their Stevensville, Maryland facility and like to start people first thing on a Monday morning so a kit can be finished at the end of a single week (naturally depending somewhat on the aptitude of the builder). So while you must build and cannot buy ready-to-fly other than as a used aircraft, the kit endeavor is one of the shortest in aviation. Prices are good, too, running from around $70,000 for a very complete MTO Sport to about $88,000 for the enclosed Calidus to roughly $120,000 for the top-of-the-line Cavalon. 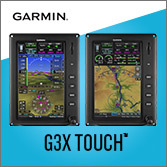 At below $90-grand, the model I flew represents a good value in a most interesting aircraft. Especially given a gyro's ability to handle winds much more easily than a light fixed wing (let alone powered parachutes or weight shift trikes), and since gyroplanes fly significantly like a fixed wing, I found myself wanting more. 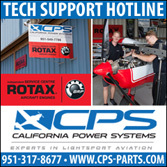 You can get training from Robert via their link to Chesapeake Sport Pilot and a Sport Pilot certificate is acceptable to fly gyros. Until video producer SportAviationMagazine.com finishes production on our video pilot report done on the Sebring flight, here are two other videos we've done on the company's Calidus and MTO Amphibian. 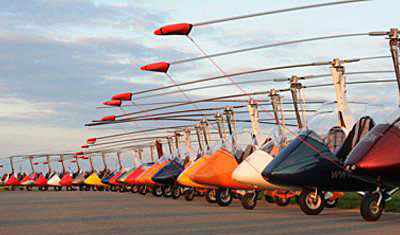 In case you think you know it all about gyroplanes, how about this different execution from Niki Rotor Aviation? The model, still in development, is another side-by-side machine with one truly innovative difference: the propeller is inline similar to what we've seen occasionally but never to my knowledge on a gyro. The Bulgarian company reported that in June 2013, "Niki 2009 made its first flight in Ihtiman, an airport close to Sofia. 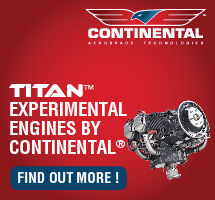 The machine demonstrated excellent flying performance and ... test pilot Niki Nikolov and his team are now focused on further improvement of the prototype." No word was given on completion nor availability to other countries but those who want to follow Niki Rotor Aviation can do so online.